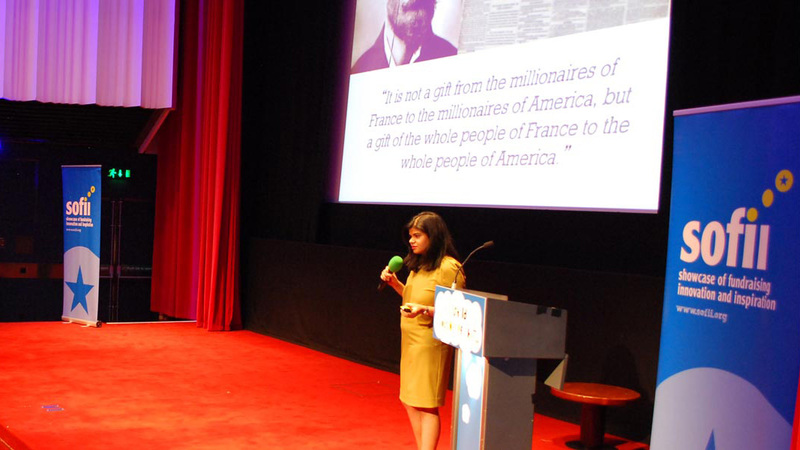 The Showcase of Fundraising Innovation and Inspiration Foundation (SOFII) is a charitable organisation that provides a free online archive of creative and strategic thinking for the fundraising community. When they expanded their service to include the amazing knowledge-sharing conference IWITOT, they felt that their old site was due a refresh. SOFII wanted their new site to be more intuitive, quicker to search, and more readable on mobile devices. And they knew that with almost two decades of experience developing digital products for the third sector, we’d be a great partner. SOFII is all about inspiring people to change the world for the better. Likewise, we started our process by asking real fundraisers what wanted to see in the new SOFII. From those initial conversations and usability tests, we developed a new content strategy and persona studies to inform the design and implementation stages. Drawing from this meticulous research, planning and testing, we developed a clear user-focused design – placing emphasis on quality typography and readability across all screen sizes. We integrated a full suite of readily searchable and responsive templates into a best-in-class CMS. 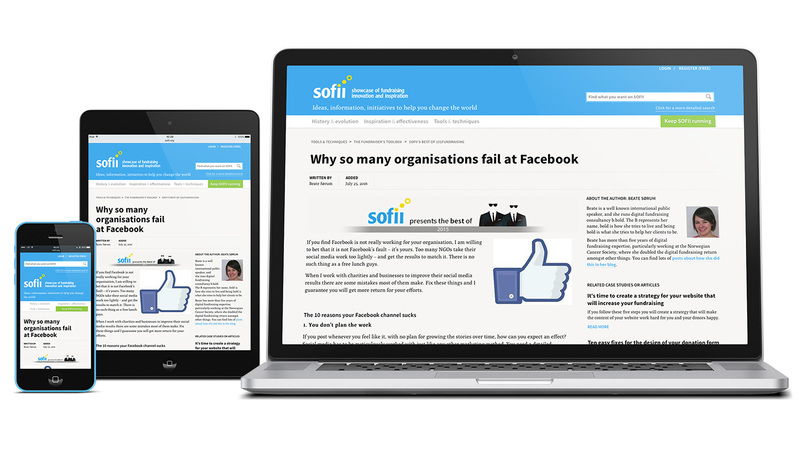 Then we migrated SOFII’s existing articles and case studies into the new, more user friendly platform – preserving their existing SEO value by implementing thousands of link redirects. We launched the new site in September 2014 at SOFII’s ever-popular conference, IWITOT. The response from the fundraising community continues to be universally positive, with plenty of great feedback on social media and in the press. And site analytics metrics dramatically improved across the board – with more unique visitors, spending more time reading more pages, on a wider range of devices. Just send us an email to hello@1810creative.com and we’ll get right back to you. © 2013–2019. 1810 Creative Limited. All rights reserved.